Talk 1 (Lk 10:42): Inner silence is the key to God experience (Ps 46:10). Priests must be masters of silence. Control inner conflicts through silence. Stop all thoughts in order to pray better. A priest needs to pray minimum three hours of concentrated prayer every day. Talk 2 (Deut 6:4-9): Covenant Relationship is a way of building up a blood relationship with God so that we can call God, Father, Mother, Husband, etc. The Old Testament covenant was sealed by animal blood but in New Testament it is sealed by Christ’s blood making us God’s children. This relation is assured by God’s constant presence in us whom we should be aware of in silence. Our response to him is to love him, to walk with him, be faithful to him, to be blameless, to worship him, to be holy and to do justice. Talk 3 (Mk 1:16-20): The annihilation of our inner “me” and following the “ME” of Christ. Normally no Rabbi recruited his own disciples in Palestine but it was the disciple who looked for a Rabbi. But in the case of Jesus the disciples are called and chosen by Him which indicates his unique relationship with the disciples. He said, “Follow ME”. It is a call to radical rapture of oneself – destruction of one’s ego to be the follower of Jesus – constant renouncing of oneself. It is a configuring of oneself with the SELF of CHRIST – becoming one with Christ in our thoughts like St. Paul who says that it is no longer he but Christ lives in him. Renouncing one’s SELF and taking up the Cross is the way out. The Cross is the only powerful positive reality that can dethrone the “me”/“ego” in me, and replace it with Christ. Talk 4 (Ex 19:1-6): Priesthood is a gift, a privilege and a responsibility of the Divine Presence. Priests have to be ever in the presence of God and they are to bring people into the presence of God. The people of Israel are a priestly people and because they are a priestly people, they are the “treasured possession” of Yahweh. The high priest of Israel bears the burden of the people (he carries always the names of twelve tribes of Israel on his forehead, arm and breast-plate) and stands before Yahweh. Christ as high priest became a slave for all, offering his own life for the sins of the world. He is both Priest and Victim. Jesus was chaste, poor, simple and obedient. Every priest is called to be a priest and a victim, chaste, poor, simple and obedient by his continuous self offering to God and people. Talk 5 (1 Cor 10:16-17): Eucharist is the highest form of our daily communion with Christ and it is the centre of every priest’s life. Therefore, we are Eucharistic ministers and Eucharistic people. In Eucharist we partake in the eternal life of Christ by which our life (the “me” or “I” in us) is subdued by the life of Christ. Eucharist has four-fold significance: Consecration, Communion, Contemplation and Commitment. Talk 6 (Rev 12:1-6): Mother Mary is the mother and model of all priests. She made the Word flesh in obedience to God. She is the Lady of new creation. Talk 7 (Mk 9:33-37): Three Priestly virtues: humility (humas in Latin means mud, a person who stands on the ground). Humility is the best medicine for many physical, psychological and spiritual sicknesses. Humility is obedience, respect for others, giving preference to others, believing in the goodness of others, not speaking evil (gossip) against others, speaking less and doing more, unifying, forgiving, etc. If one has to boast then boast only in the Lord and on one’s weaknesses. Talk 8 (1Cor 13:1-8): Second virtue of a priest is LOVE. Bible does not talk of human love because human love is always selfish and imperfect. Love comes from God, it is divine and God is Love (1 Jn 4:7-8). God’s love is always accompanied by God’s mercy. And, generous love is always filled with mercy and compassion. So, love is always a compassionate love. Divine love is poured to us through Christ on the cross. The source of love is the cross and on the cross Christ is the High Priest and the Victim. Therefore, the cross which is the source of love, should be the permanent residence of every priest. Talk 9 (2 Cor 4:7-11): Third virtue of priest is Suffering. Suffering and love go together for a priest because he owns priesthood and victimhood of Christ in his ordination. Suffering is a part of discipleship which Jesus constantly reminds his apostles. Comfortable and secure life is against priesthood. We need to imitate, follow and proclaim daily the crucified Christ who is our wisdom and power (1 Cor 1:24). We also learn to unite our daily suffering with that of Christ. (Gal 6:17) and remove our “ego”. 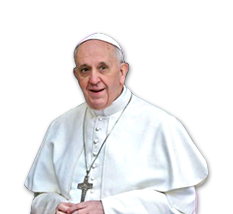 Talk 10 (Lk 19:1-10): A priest needs daily transformation through his personal repentance and conversion. The blocks in our growth to maturity are pride and arrogance (Jer 30:33). Conversion is a daily process that takes place in our thoughts and actions. Conversion does not refer to small changes or small acts of charity or small resolutions. It is a radical return to the Lord like Zaccheus. It will happen only when the ego or the inner ‘me’ is broken. It is a transformation from “me-consciousness” to “Christ-consciousness”. Kindly submit your Mission Sunday collections to the diocesan treasurer as soon as possible. Recollection for all the diocesan priests will be held on December 09 (9.00 p.m.) to 10th lunch at Bishop’s House. The theme is “Mercy is the name of every ordained priest”. Kindly be present for this event. For further information, please contact Fr. Rajendra Kujur. 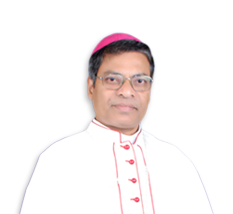 All those who have not made their annual retreat please join a retreat group of any other diocese or congregation in Odisha.It is mandatory that a diocesan priest makes annual retreat, and it is highly recommended that he makes it in a group. They are immaterial spirits or pure intelligences created by God before humans were created to regulate the order of the world and to be messengers of God to humans. “Angels” in Latin is angeli; in Greek aggeloi; and in Hebrew mal’ak means “messengers” (Mt. 1:20; Lk 1:11ff.). Their work was to inform, guide, protect and warn people (Gen 16:3, 7ff; 21:17). They also appear as a divine court or host (Deut 4:19; Jos 5:14; Mt 24:36; Lk 12:8ff. ), sons of Elohim (Pss 29:1; Job 1:6; Dan 8:13), as guardians (Ps 91:1; Dan 10:12; Mt 4:11; 18:10; Acts 5:19), as worshippers of God (Ps 103:20; 148:2; 1 Cor 11:10), bring healing (Jn 5:4) and vengeance of God (Ex 12:23; Num 21:6-8; 2 Sam 24:16ff; Act 12:23). However, angels are real and dynamic mediations of human consciousness of the divine and through them we apprehend the presence, knowledge and will of God. They are also cosmic reality that pervades the order of universe by which they manifest superhuman wisdom and power beyond history and time.They have no body, they cannot die, they are not subjected to sickness, hunger or illusion and they can know, will and remember. Catholic theology has recognized 9 types of angels in three hierarchical orders and each order has three categories of angels.They are ordered according to the tasks given to them by God and their closeness to God. These names of angels you will find in the concluding paragraphs of most of the Prefaces. The harvest is plentiful but the labourers are few. We are blessed with two deacons in our diocese whom we have joyfully welcomed into the clerical state. They will be ordained priests in the coming months in their respective parishes. I invite all of you to pray for them on the day of their ordination and continue to pray for them that they may remain faithful to the Lord in all circumstances. We wish them God’s blessings and prayerful support of the diocesan faith community. I will be presiding over the ordination Masses of Dn. Petrus Soreng and Dn. Binod Kalyan Kullu. A form for the annual statistics is attached herewith. Please do the needful as soon as possible and send to Secretary’s office by 27 February 2017. A format for preparing the annual budget will be sent to you soon. Therefore, you may already discuss about it with your Parish Financial Committee. It is mandatory that each parish, hostel, school and institution prepares its annual budget.